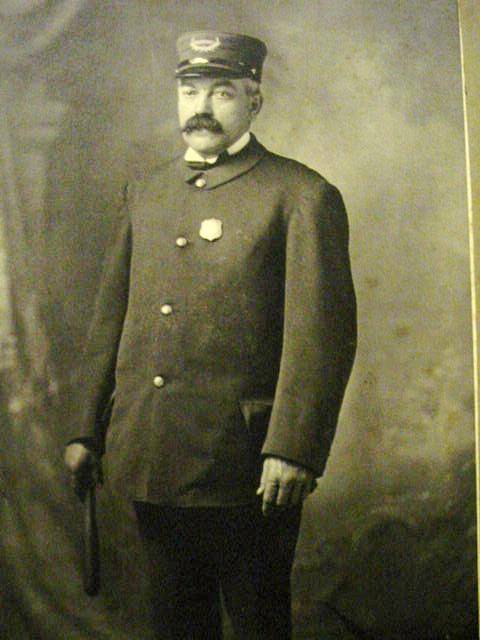 Night Watchman John Gates was shot and killed by the city marshal who had a long standing grudge with him. The marshal confronted Watchman Gates in front of a grocery store and an argument ensued. During the course of the argument the marshal shot Watchman Gates with a 16-gauge shotgun. The marshal then attempted to commit suicide, but survived. He was charged with Watchman Gates' murder and convicted of manslaughter. Watchman Gates had served with the Medina City Police Department for eight years. He was survived by his wife and four children. NEVER FORGET! On behalf of the Ohio Bureau of Criminal Identification & Investigation, we honor the dedicated service and ultimate sacrifice of Night Watchman John H. Gates of the Medina City Police Department, Ohio and the additional 64 American Peace Officers who have paid the ultimate sacrifice on this date in history.